Push fit fittings finds wide application in test bed set ups and in instrument as it helps easy fitting of tubing thus PU tube can be carried out to the actual pressure or flow source. 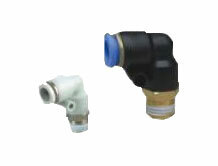 PU tube fittings comes in varied sizes as per the O.D of PU tubes i.e Pushfit fittings it bites the tube in such a way there by creating Leak free fitting. Size : 1/8” to ½” BSP Tube O.D:4mm, 6mm,8mm,10mm,12mm Service : Air, Oil, Water, Gas, Air. 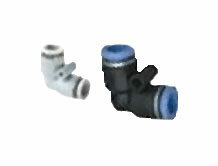 Types : Male connector, Male Elbow, Male branch Tee, Union Tee, Straight Tee.